To be perfectly honest, our trip to the Louvre was painful - too many people and too many paintings. My favorite part of the museum was the actual building, which was stunning. 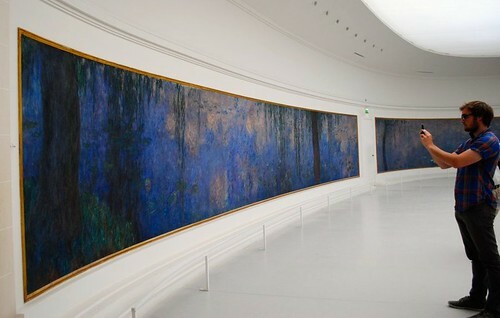 I was so happy we were able to experience the Musée de l'Orangerie, because it reminded me why I love art museums. 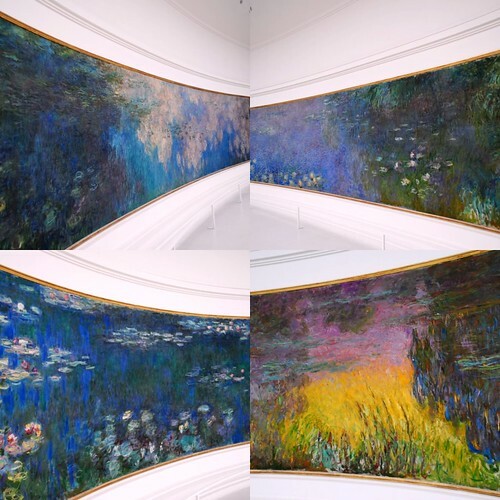 The circular room filled with Monet's gigantic water lilies was so unbelievably serene, I almost forgot there were other people in the room. I just wanted to stay all day and stare into the dreamy colors (and then take one home with me). I also loved the Matisse works and consequently vowed to one day decorate a room exactly like this.